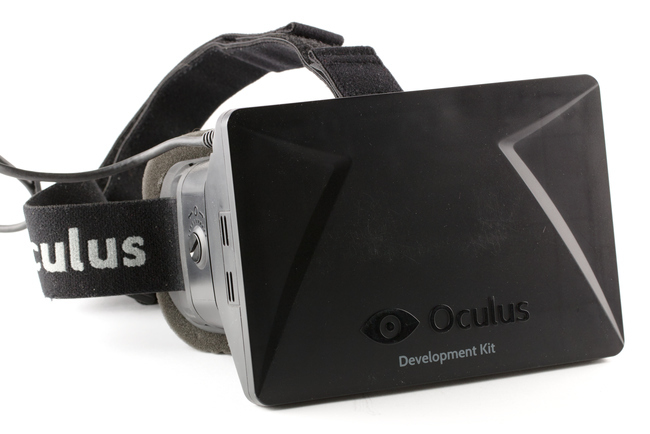 Facebook just bought Oculus VR. You bought the headset. You bought a share of the future. Now how do you start handling it? Let’s getting started with the connection box. At this point it’s really plug and play. Literally. 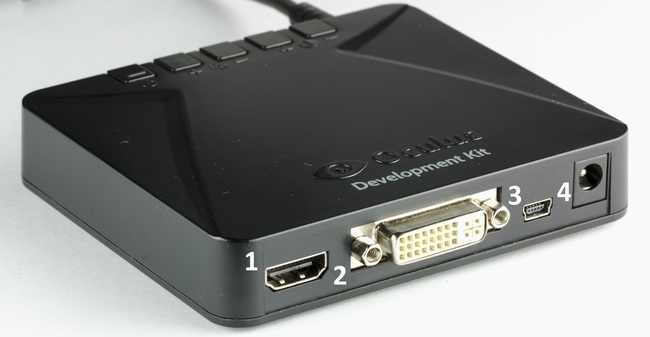 Connect the USB port of your computer with the USB port of the connection box. If those 2 don’t show up, try unplugging and plugging again the USB or the HDMI (or the DVI) cable. You will have to register at first, and this should be straight forward. 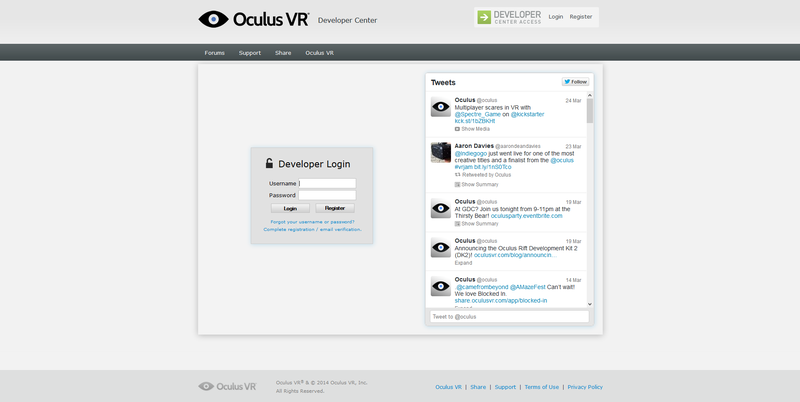 Once you have a valid username and password, come back to this page and login. 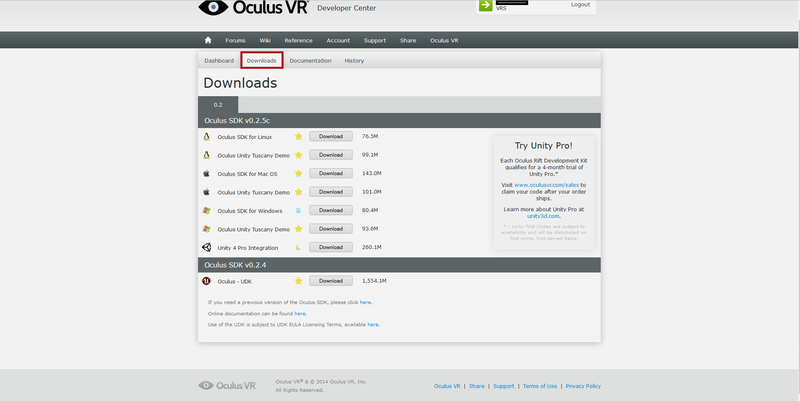 From the first page, you will notice a Downloads tab (labelled in red on the previous picture) . Click on it, and then you can download your SDK (on Windows, you only need to download the Oculus SDK for Windows). Now that you have the SDK, extract it wherever you want to have it. 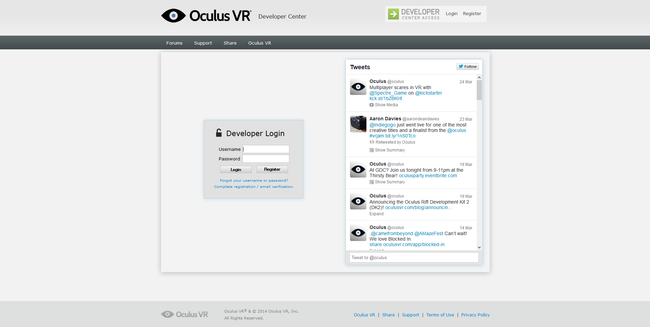 Launch the Oculus World Demo and… have fun !